Traveling is one of the "wants" that most human beings have. 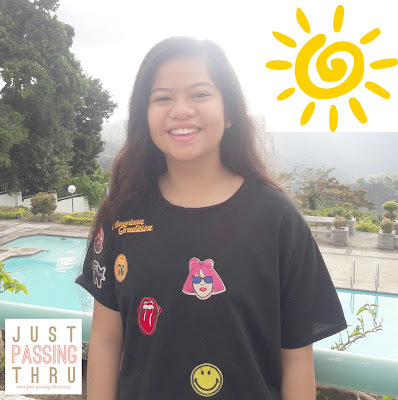 Many are quite outspoken about their desire to travel but there are also a good number who are equally interested but are just quietly saving to have that dream vacation with their loved ones. With the Save Up and Fly Promo of RCBC Savings Bank, we actually get the chance to travel while saving. That just means having our precious savings available for our other life goals, and who wouldn't want that? We often hear people saying that saving money in the bank doesn't provide as much returns as other investments. Probably true when we talk of interest rate. When it comes however to the ready availability of withdrawing it when the need arises, nothing still beats a savings account. Yes, even with the recent system glitches that affected several banks, keeping our hard earned money in a reputable bank is the most sensible thing to do. This truth cannot be overemphasized. The sooner families learn the wisdom of savings, the better chances there are that members can get to enjoy the finer things in life, not by borrowing, not by dreaming, but by saving. The banking industry has been trying to create awareness about this among Filipinos. 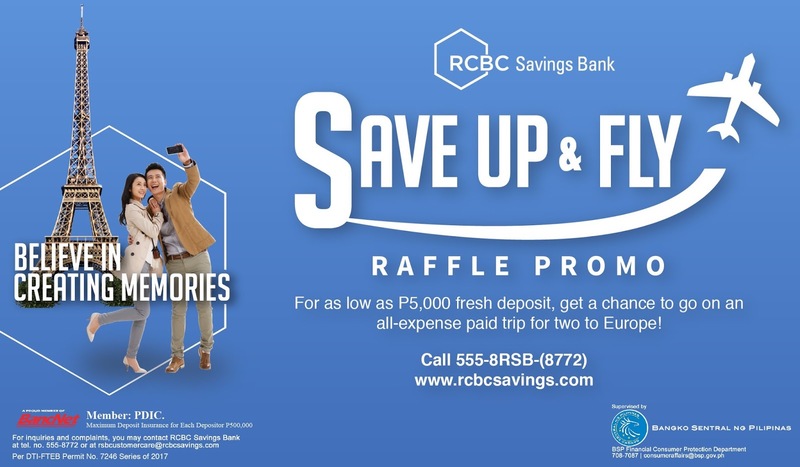 RCBC Savings Bank for its part, rolled out its own exciting promo. 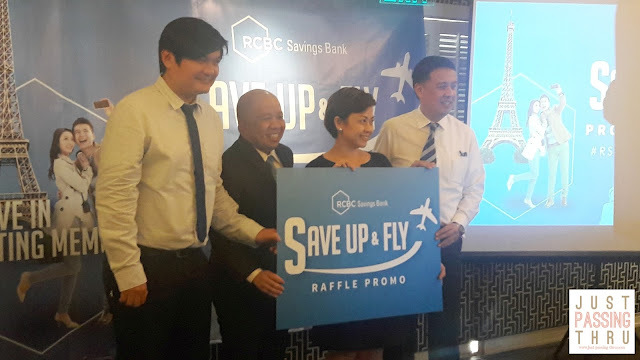 RCBC Savings Bank launched the Save Up and Fly Raffle Promo to allow its customers to "experience the wonders of the world by saving". Essentially, it encourages depositors to save more to get more raffle entries. 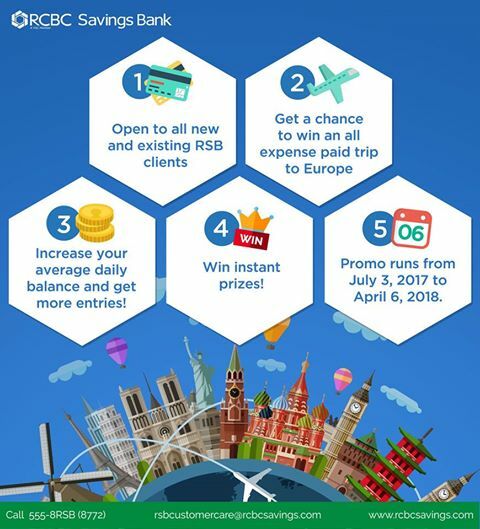 It is open to all new and existing personal and corporate account holders of RCBC Savings Bank covering Basic Savings and Chcking, WISE Savings, Dragon Savings, Dragon All In One Checking, and MyWallet Cash Card. 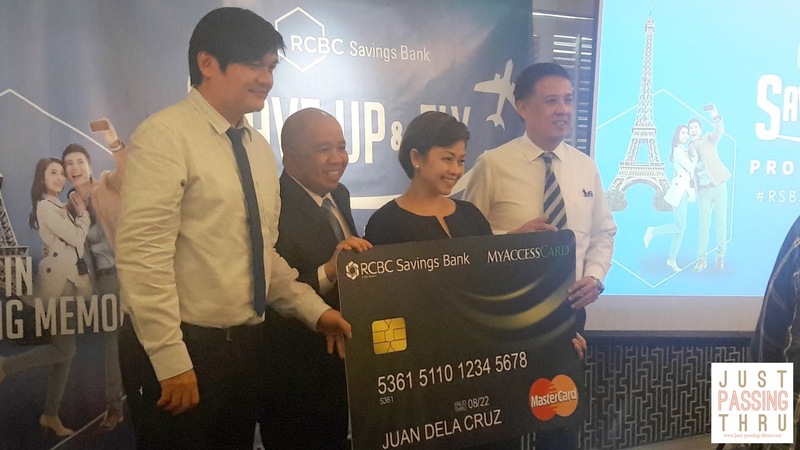 This promo coincides with the launch of the RCBC Savings Bank MasterCard Debit Card. With the introduction of this card, cardholders can now transact in more than 2.5 million ATMs and in over 40 million merchant locations nationwide. 1. Account holder should place at least the minimum required "fresh funds", also referred to as the "minimum required increase" during the promo period July 3, 2017 to April 6, 2018. Php 25,000 for Dragon Personal Accounts. 2. The number of raffle entries shall be determined at the end of the promo period. 5. Accounts enrolled in RCBC Online Banking Retail or AccessOne Corporate will earn one additional raffle entry. In my own family, I am the only one who hasn't traveled outside the country among 5 siblings. That doesn't mean that I don't like to. It's just that I always find myself having other priorities to attend to. Then I realized, these priorities will never end and so I am starting to save up to have that dream trip with my family. 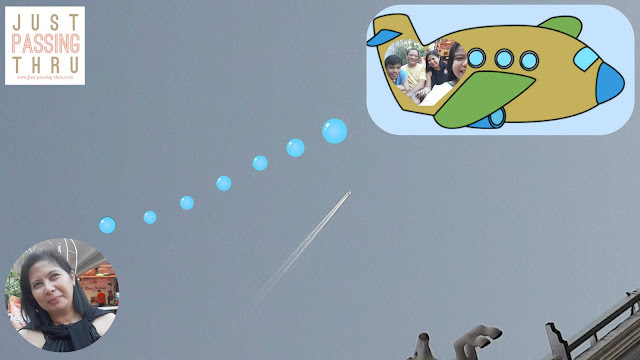 That said, promos such as the Save Up and Fly with RCBC Savings Bank make me more excited to reach that goal. Saving is a win-win situation whether you win or lose in a raffle promo because at the end of participation, you have substantial savings that will allow you to fly to your dream destination which your budget permits. It's about time to make that dream trip come true. Would you consider RCBC to be one of the reliable banks? 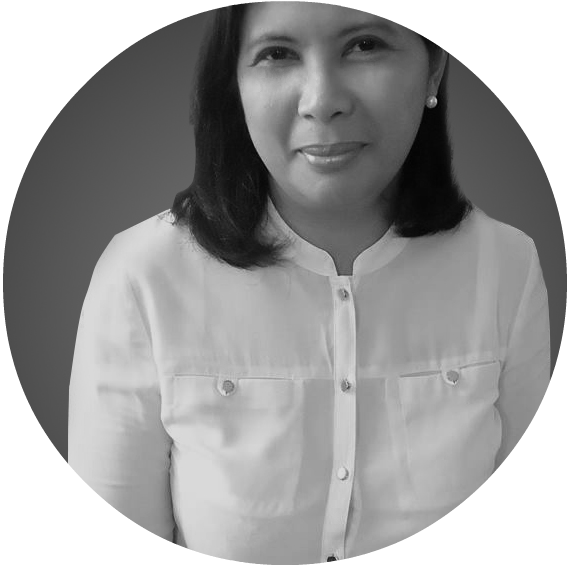 BDO and BPI used to have such a good reputation, but now, I don't know anymore. 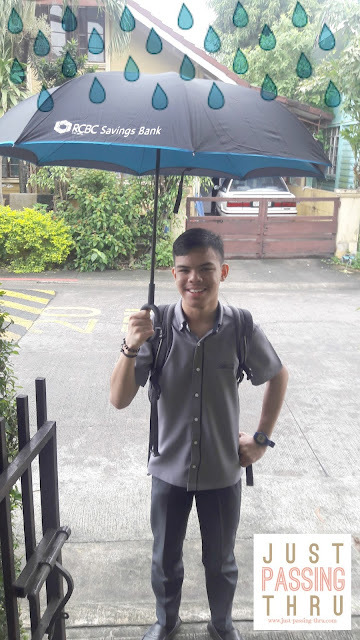 At some point, I got scared na to keep my savings. :( Hopefully, RCBC is a better bank, and that this strategy do get to help more people save for their dream trip/s, while they save their money. Admittedly, there had been a lot of controversy hitting the headlines lately involving several banks. Although it would be the best not to hear news of such nature, I am still consoled with the fact that most were carried out by either an individual or a small group of people in the bank , and not because a bank was operating as an entity that seeks to defraud it customers. For me, the bank is still the safest place to keep our money because theft that happens in the bank will not equate to getting the money of depositors to replace what was lost. A bank that goes down is an altogether different thing that is why reputation does matter. Do I consider RCBC reliable? My answer is yes, the same answer I would have for BPI and BDO because these are banks that went through a crisis but stayed on to become better. Banks interest are so low now and the promo is a good motivator for depositors. It's also important to have a saving for some security. Yes, low interest rates have greatly reduced the desire of people to save in banks thus it is a good thing for banks to come up with other ways to reward those who still choose to. Interesting promo. Glad RCBC is still doing great and standing strong after the hacking controversy in the past year. That question was actually asked during the launch and the Marketing Officer readily acknowledged it but went on to say that the bank has definitely recovered from the controversy it faced in the past. RCBC is one of the nearest banks in our place right now. I'm thinking to open an account there for my son's tuition fee. This promo is indeed a great motivation for people to start putting their money in RCBC again. Europe is my husband's dream destination, I hope we will win if ever my plan to open an account will push through.